TripAdvisor, the popular online provider of travel reviews, has discovered an unlikely competitor in Google. The search giant has been aggressively moving into online travel content with the launch of Hotel Search, which lets users search for U.S. hotels, as well as Google Places, which provides free information about attractions and businesses worldwide. MarketingTimes.com reported on the Web war brewing over travelers’ time online. 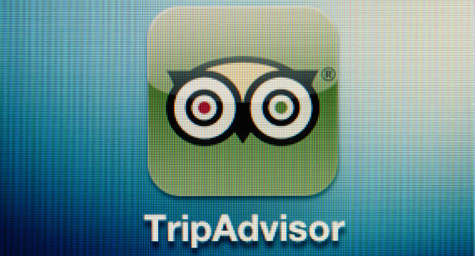 For now, industry analysts agree that TripAdvisor is holding its premier position due to its longer history and greater prestige in providing free hotel reviews, vacation advice, and travel apps. Yet they also warn that rising traffic-acquisition costs may hurt its bottom line. “Fundamentally, Google Places pages doesn’t have the same level of quality content that TripAdvisor has,” said Jake Fuller, Lazard Capital Markets analyst. Still, he agrees with others who say that TripAdvisor’s profit growth could suffer a major blow in the coming year as rising competition increases its costs, especially for search ads. Another concern for TripAdvisor is Google’s growth of travel content and services, yet the search engine has far to go to achieve the quality and range that TripAdvisor has provided for years. Users have a strong sense of trust and engagement with TripAdvisor that Google has yet to match, let alone surpass. Given the growing threat, TripAdvisor is striving to cut its reliance on Google for search engine referrals and is looking to advertise with Microsoft’s Bing search and other sites that can drive traffic and keep the online travel provider the top choice of travelers.